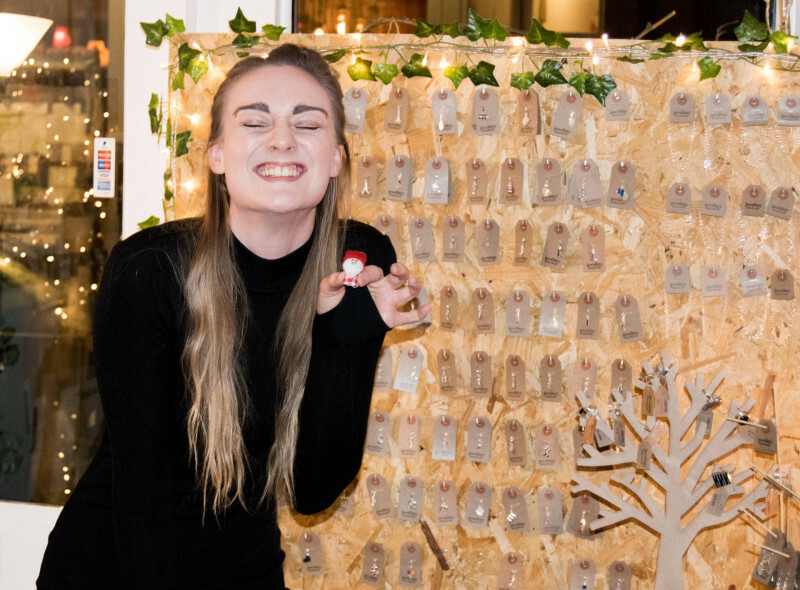 I want to tell you all about what a fantastic time I had on the 5th December when I went to the Blogger’s Xmas event organised by Soeursdeluxe. 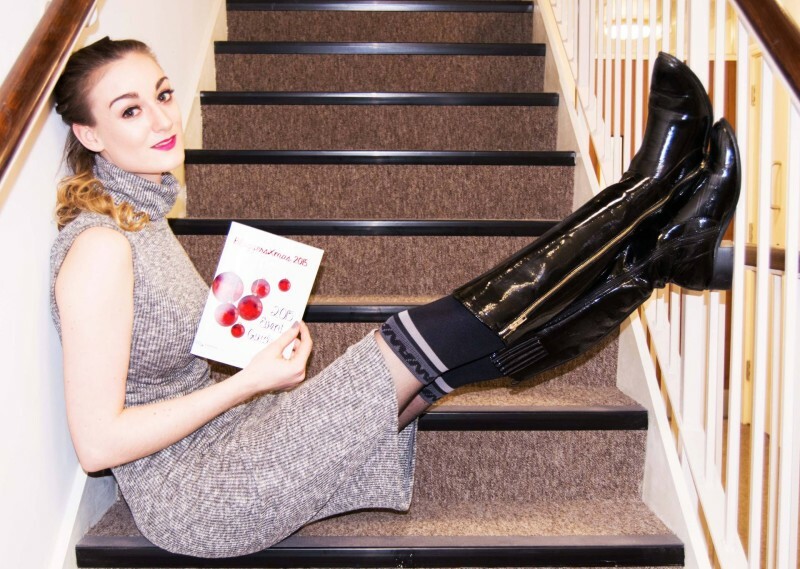 The London air was very biting that day, so I layered up with a polo neck dress, faux fur cardigan and coat before heading to Moorgate station. I was early (for once) and found myself getting there well ahead of schedule to meet my friends, so I decided to go in alone and get started! The venue was so pretty! I was immediately greeted by Jasmine of Soeursdeluxe with a programme and my very own customised keyring from AlohaLolaCards. As I took the Finch’s pub in and all of the amazing stalls it really did feel as if I were walking in a blogger’s wonderland. 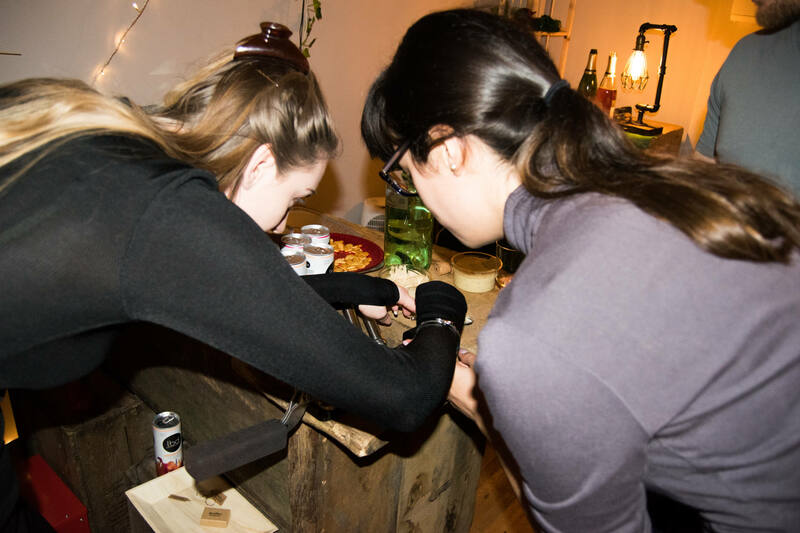 Selfie sticks and props adorned tables, goodies and sweets too, but I headed straight to the bar where I could see the most wonderful thing brewing- mulled cider! I was shocked as I got my wallet out to pay that the cider was in fact already paid for, I had only been in the door 5 minutes and I felt so relaxed and happy. 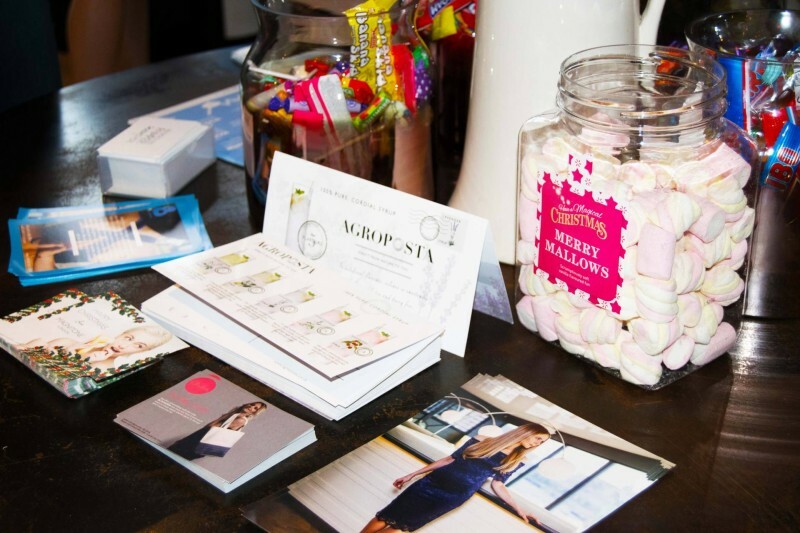 I cannot thank Jasmine and Kirsty enough for organising such a great blogging event! As I waited with my mulled cider in hand for my friends to arrive, I had a flick through the programme so I could see who was attending. 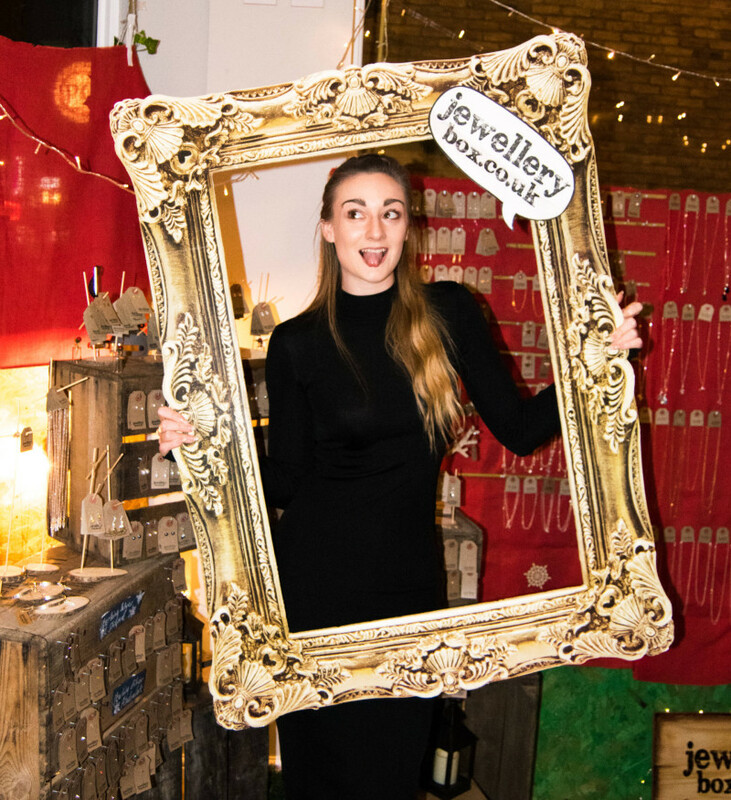 I was shocked yet again to discover that I had a little shout out in the programme, as earlier on in the year I had put a favourite jewellery brand of mine in contact with Soeursdeluxe as they were looking to exhibit more in London. 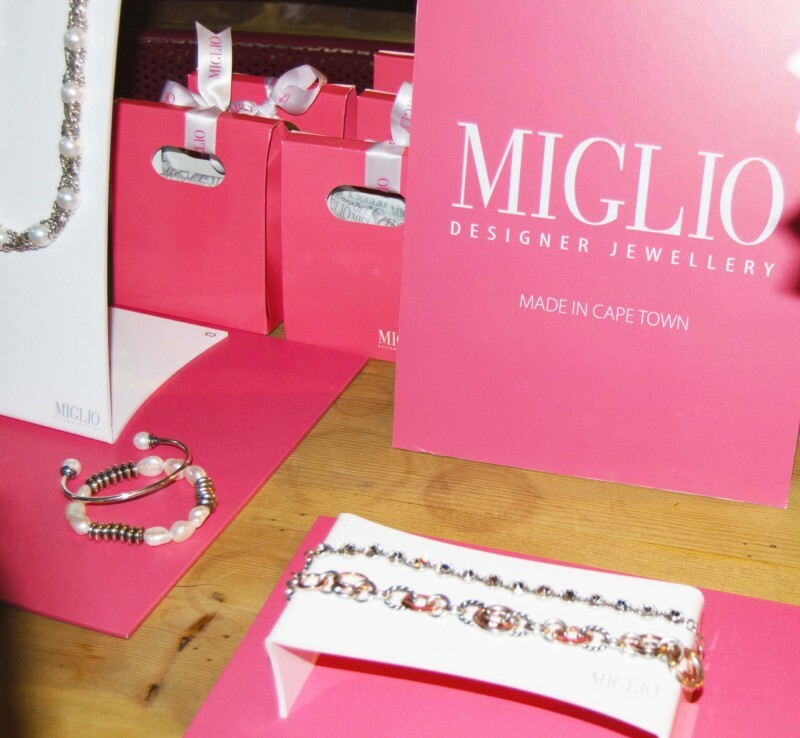 Miglio Jewellery were on the guestlist sure enough, and I am really glad I met them and have worked with them since. 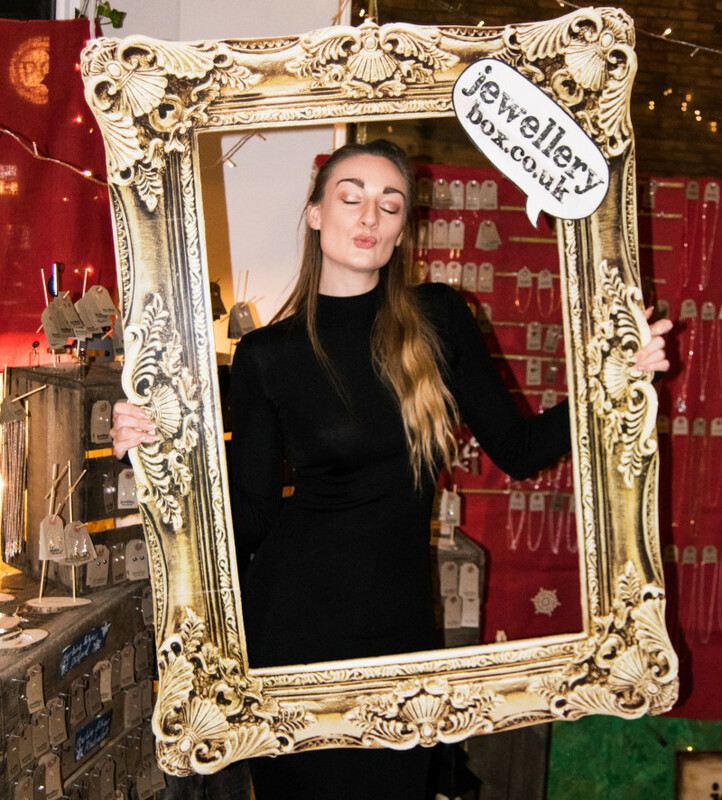 They are a fabulous company and their innovative styles had all the cameras snap snapping away at their stall. Another stall I was happy to see there was the Blogosphere magazine. As I am in the publishing industry at work, I have a great respect for printed magazines and this one directed at bloggers specifically is just brilliant. We each went home with a copy of the latest edition of the quarterly mag, and it is so well presented I am itching to get some ideas over to them in the new year to be in with a shot of getting featured! Well worth following these guys on Twitter! I think my favourite new brand would have to be Aroma Cake Boutique. 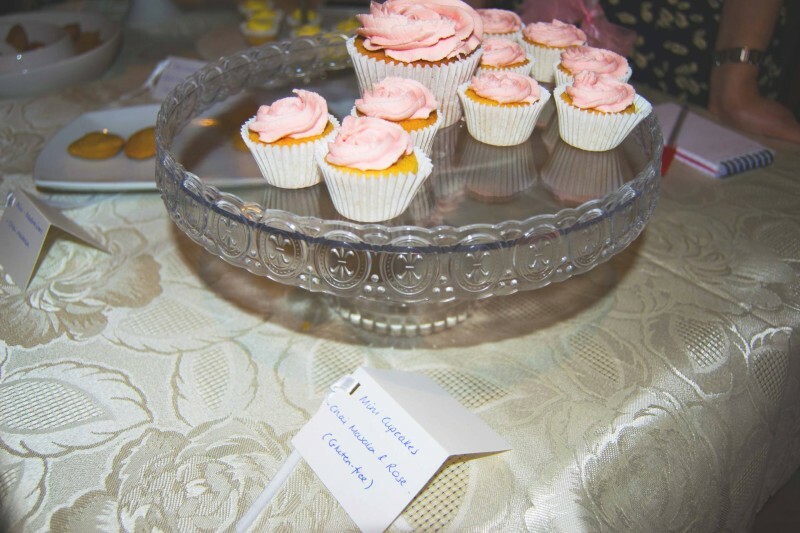 Founded by Krupali Patel, the Aroma Cake Boutique is a lovely homemade cake company with an Indian twist. I found myself ogling at all the amazing bite size treats laid out for us to try, and all of them were gluten free! Krupali explained how she and her mother use traditional Indian spices to infuse the cupcakes and the icing. Their masala chai and rose flavour cupcake was like nothing I’d ever tasted before, it was heavenly. Aroma Cake Boutique were kind enough to let me take home a box- they were all gone in less than a day and I didn’t share much either! You can find out more about Aroma Cake Boutique via their website here. 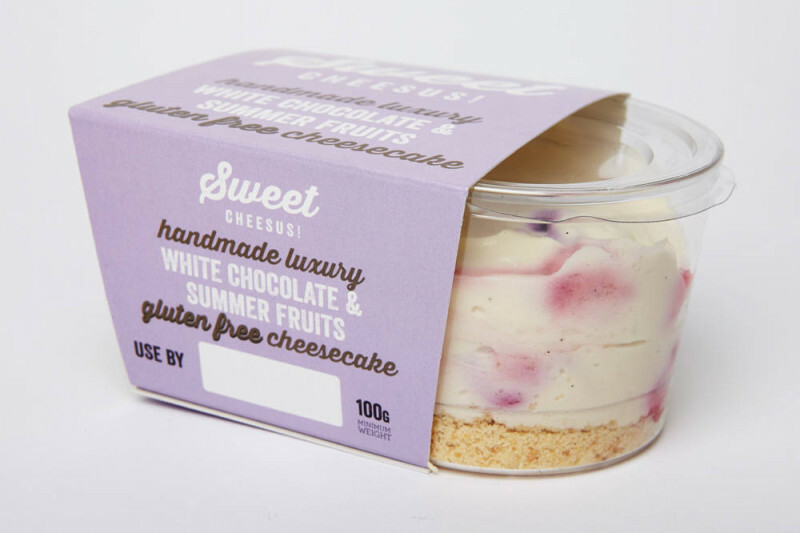 I must also mention another sweet treat which were exhibiting at the Bloggers Xmas event, this time we’re talking cheesecakes! Sweet Cheesus (great name!) 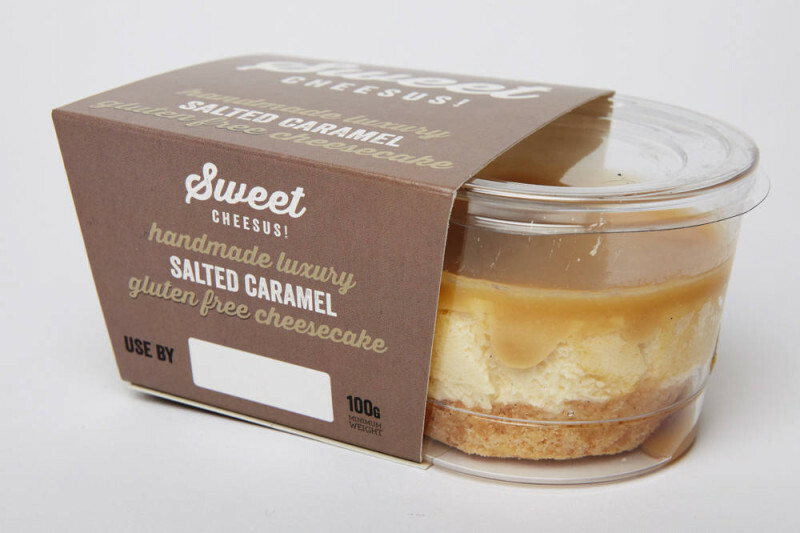 offer 6 different flavours of cheesecake, 2 of which happen to be gluten free! I tried both the white chocolate & summer fruits as well as the salted caramel- both were sublime! I hope to work with them in the new year, so send through your ideas of what you want to see to my Twitter page @saharasplash ! Enough about food, and over to fashion and beauty! 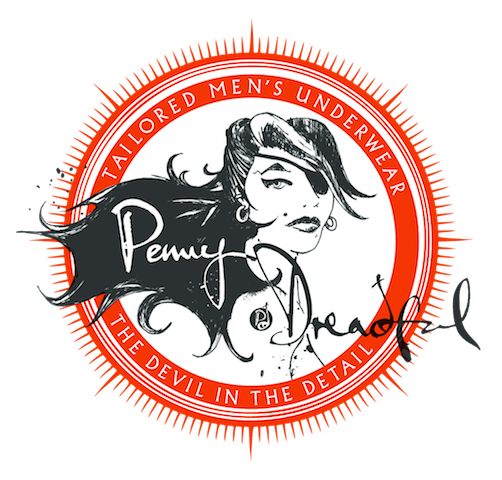 I met a wonderful designer of vintage boxer shorts- House of Dreadful. These are traditionally men’s boxer shorts, but as I saw them I just knew I had to do a photoshoot with my girls at Petite Model Management. For those of you who don’t know, this year I started up a London-based agency for petite models, and House of Dreadful is definitely on the list of ones to work with for 2016! I’ve already started collecting inspiration over on my Pinterest so check it out- I would love any recommendations too so hit me up with your pins! And last but certainly not least, my fav lash brand, Lash Perfect were there. 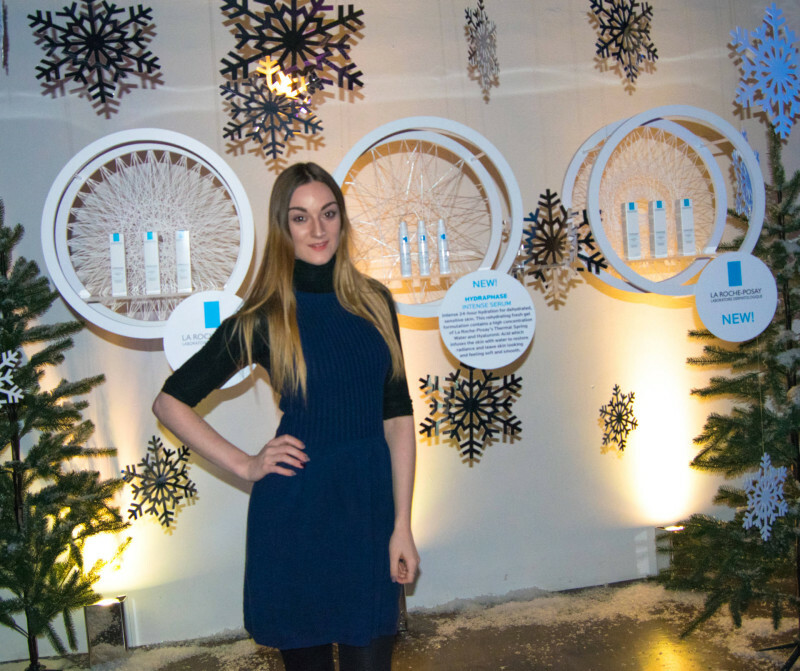 I met their marketing exec Aisha at the beauty blogger awards back in October, and it was great to catch up with her and the luscious lashes. 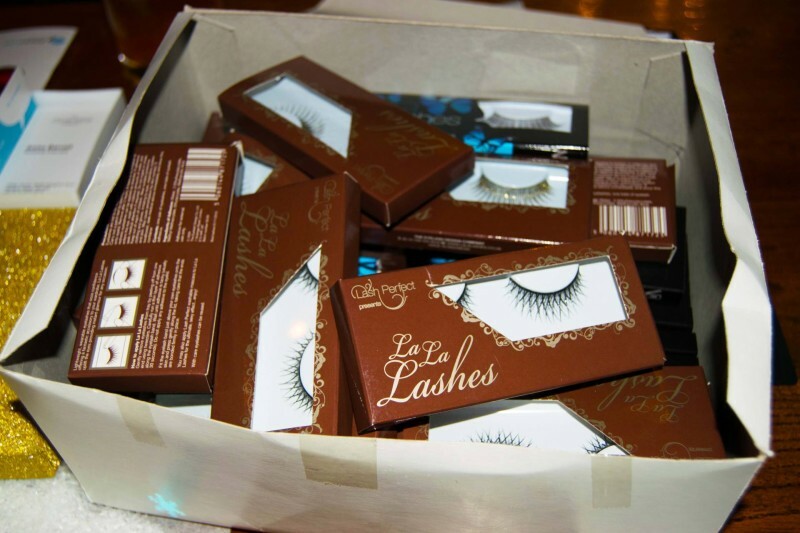 We were spoilt for choice and could take our pick from the lash box- what more does a blogger want?! I will definitely be using my Lash Perfect lashes this season! So if you are still with me on this 11th paragraph, I want to thank you, the brands above and the fabulous duo that is soeursdeluxe for making this blog post so amazing. 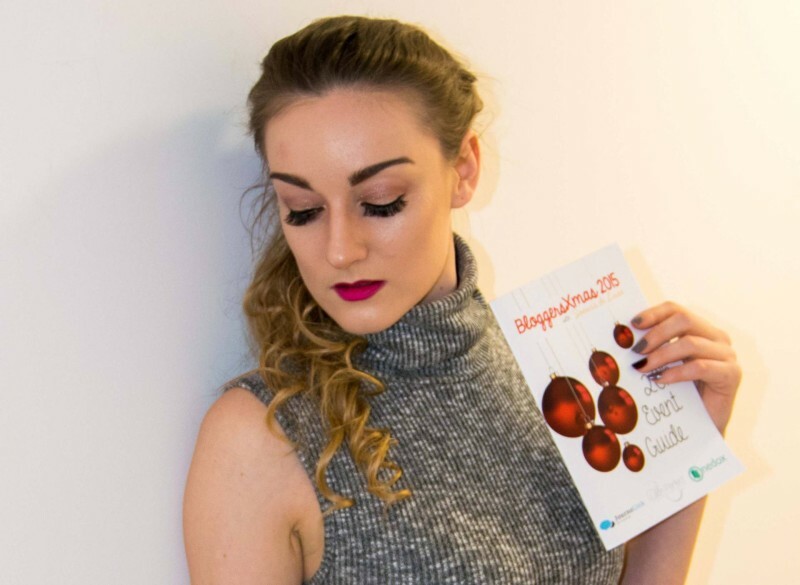 I will continue to support my local blogger events and meet new brands as this is what my blog is all about. It is events like this that give me great content so I can keep on blogging and keep on growing- so thank you. 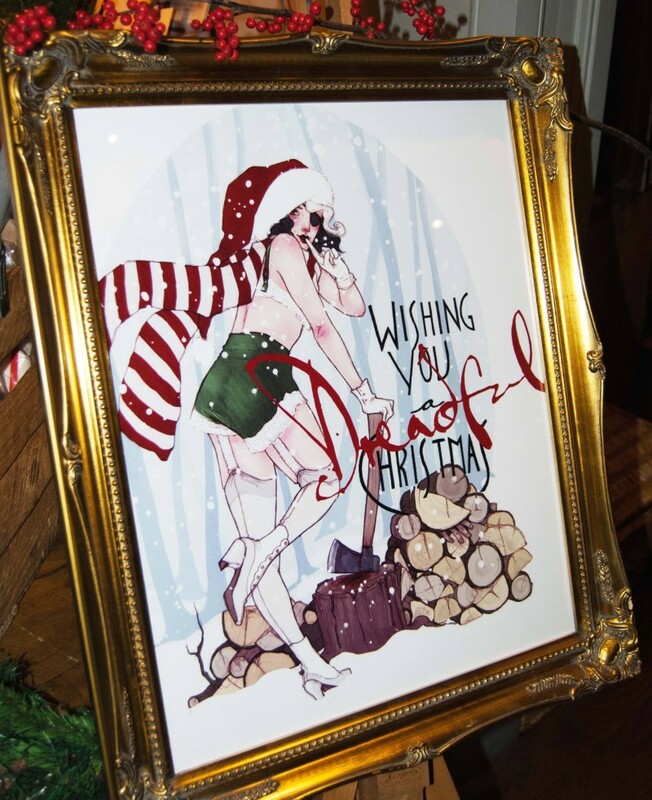 If you haven’t had enough, head to my festive post on an evening with LaRoche-Posay, it’s a good one! 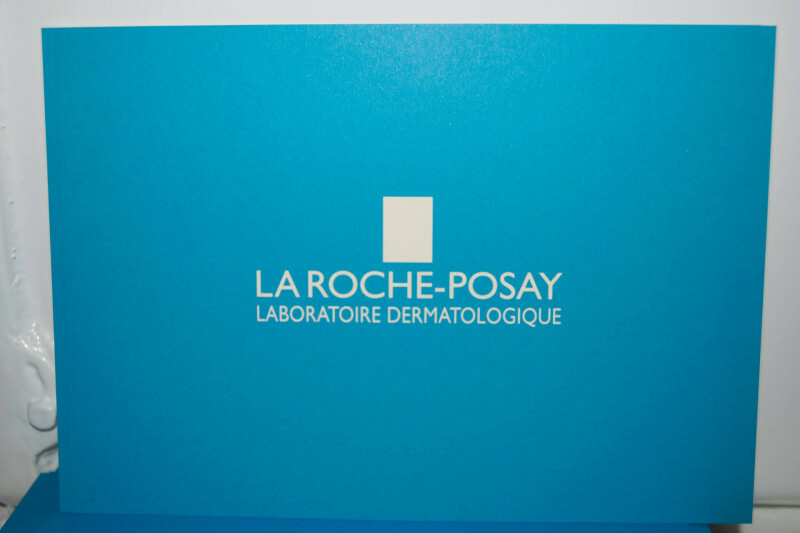 I couldn’t wait to hear the news that LaRoche-Posay was to hold an end of year Christmas party for us beauty bloggers. I missed out on their event earlier on in the year so when I received my invite I knew that an exciting evening was ahead of me after seeing the snaps from their previous event. I am thrilled to report all about my evening which really was an exquisite affair, so hooray for LaRoche-Posay! My friend Lissa (Girl at the Rock Show) and Luisa (Eat Sleep Luisa Repeat) were also on the guest list, so we teamed up and met after work at the Carousel near Baker Street for the event. 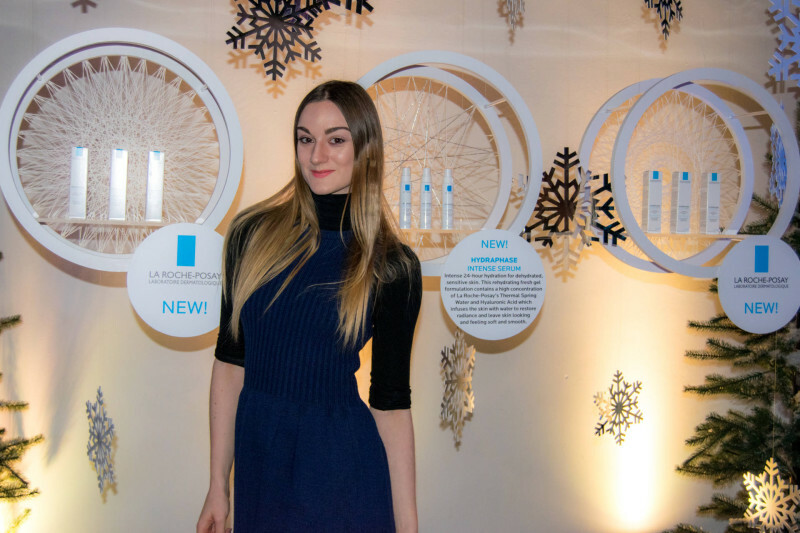 I had been following LaRoche’s successes ever since the launch of the serozinc range for acne and oil prone skin. 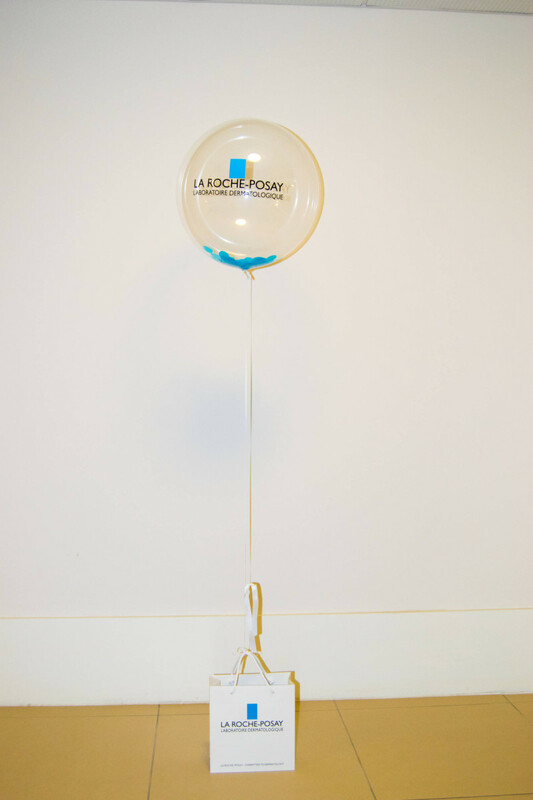 The LaRoche team had some amazing new products on display for us to try, exciting times! The venue itself was stunning. 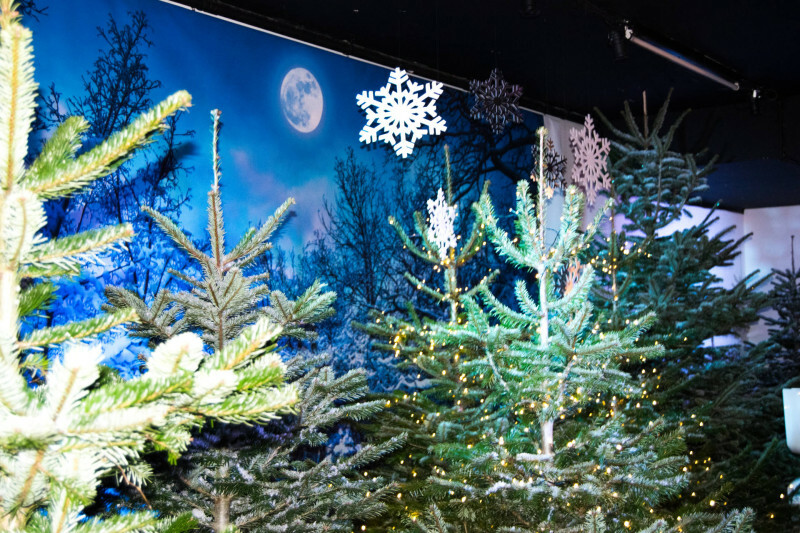 Snow-topped forest pines surrounded the room and a festive feel was in the air. 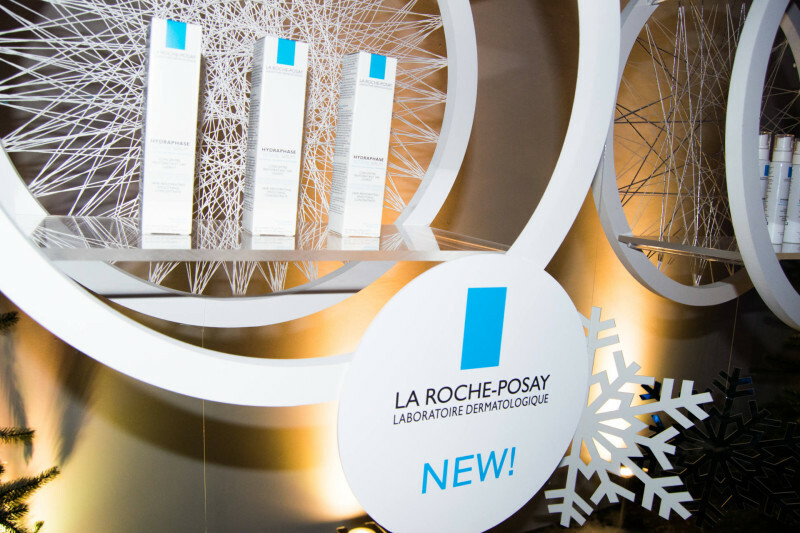 The products were displayed on crystal shelves and a dj supplied even more atmosphere. It was a small event but it felt really exclusive, something which I think is really important when planning events for bloggers. Top marks for effort, presentation and food/drinks too! I enjoyed a non alcoholic mojito made with blueberries and elderflower and I had a glass of prosecco to wash down some gluten free tortilla! 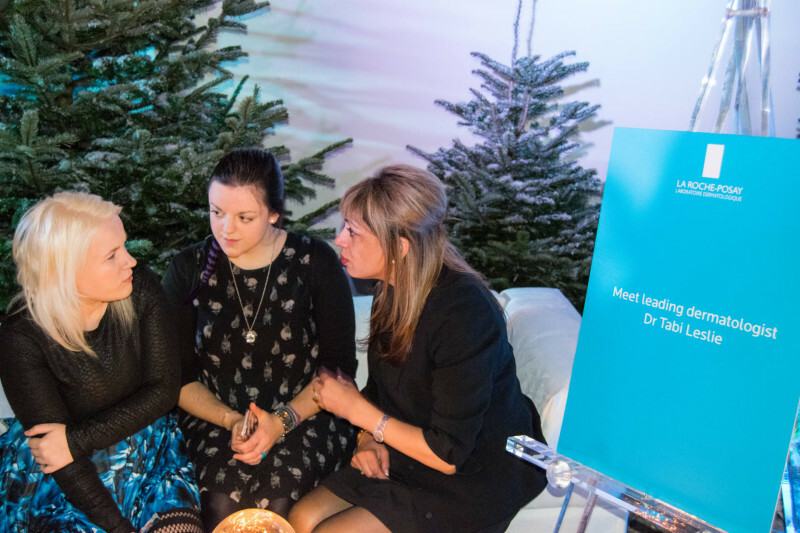 Sarah and the team gave a great welcome speech, and introduced us to Dr Tabi Leslie, an expert dermatologist who was on hand all night to answer any questions we had about our skin. 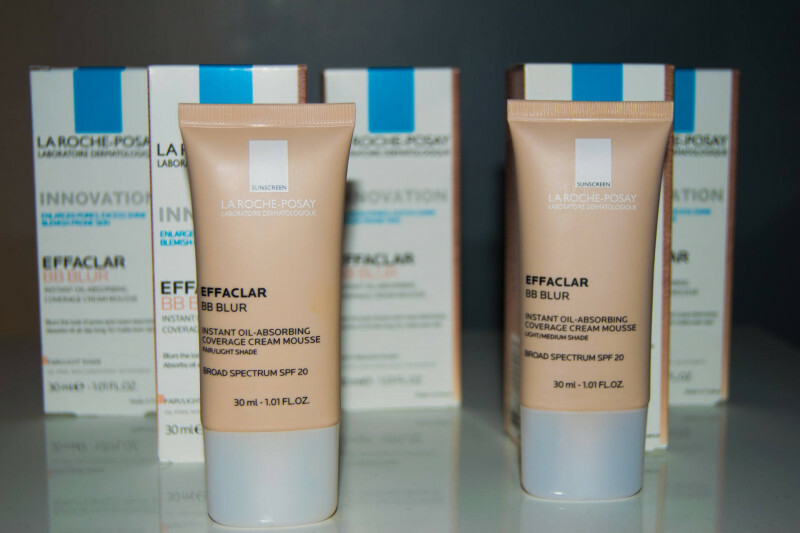 The product of the night was the brand new Effaclar BB blur primer. The primer is different from others with its mousse-like texture and its ability to absorb sweat and oil/sebum. This translates to no more shiny face at 2pm in the afternoon! I have to say I’ve been using the primer every day now since the event and I’ve noticed a big difference. Before I used to have to dab my face with a tissue around lunchtime in the bathroom to get rid of my shine, but with the BB Blur on there is no need. Hooray! Back to the event now, I was really impressed with how things ran. I got to mingle with several other bloggers including Lily and also got to talk to the LaRoche-Posay team as they came round to us all. 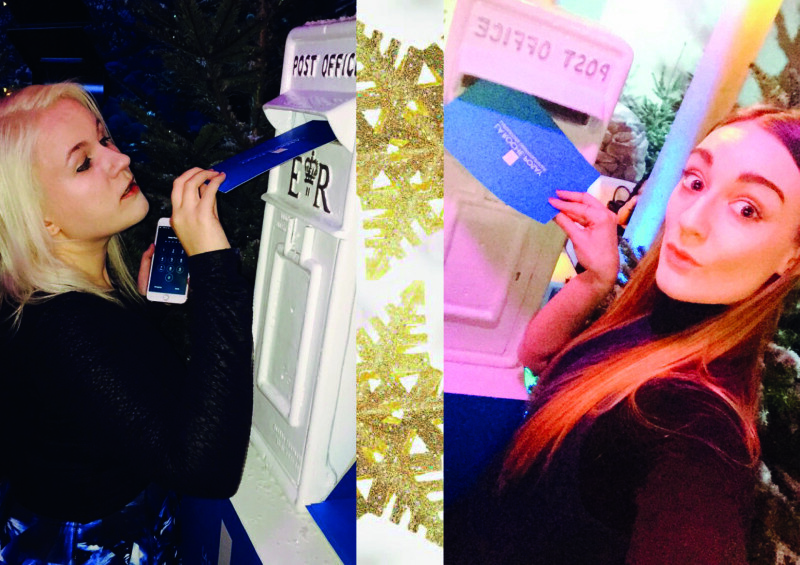 I loved this cute little post box too for an added festive feel. We wrote to Santa asking for something special, so crossing fingers he gets our letters! 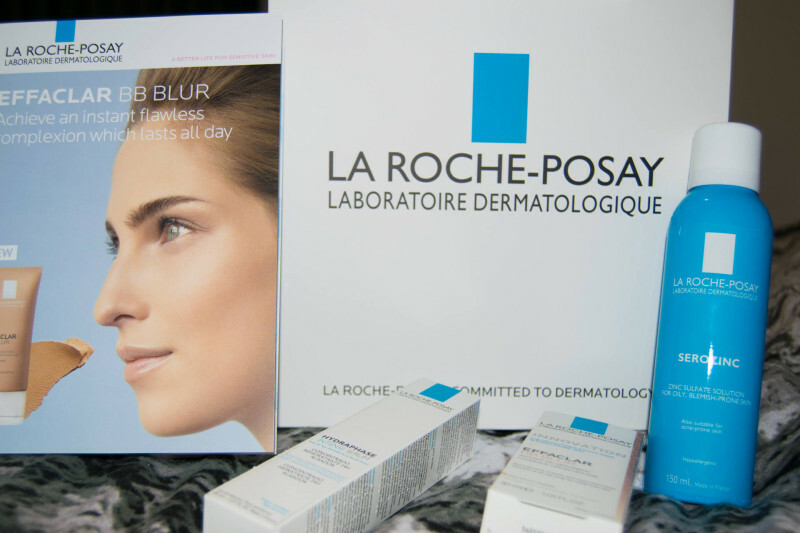 We each got to take home a bag with the new BB Blur primer, the serozine spray and their new Hydraphase intense serum which was also showcased on the night. I want to thank the Dowal Walker team and LaRoche-Posay for hosting such a wonderful Christmas party, and I cannot wait to see what’s in store for us next year! If you’d like to try the BB Blur primer it is on preorder now so get it here and save 1/3 off! I thought I would also add a little video when I got home of me opening up my gift bag too! I’m really excited about this post, as this is my first ever post about being a coeliac! For those of you who don’t know, Coeliac’s Disease is an auto-immune disease, much like diabetes. It isn’t an intolerance or an allergy where I can pick and choose what days I’m going to be good and what days I’m going to be naughty, it is for life. As soon as I tell someone that I’m a coeliac, their natural reaction is to say ‘oh, I’m sorry’. I really want to nip this in the bud and say to you all don’t apologise, I’m really happy with my coeliacs, I wouldn’t have it any other way, and this is why I love being gluten free, featuring Snackly! 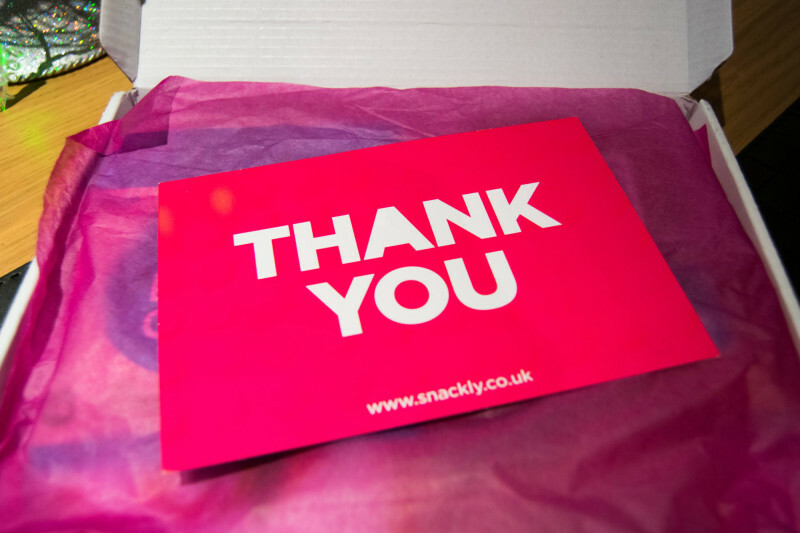 I’m excited to send my message out into the world and have teamed up with snackly to do so. I hope that this helps not only those who know about their conditions and intolerances, but those who are having issues with food who may be putting off doing something about it because they are scared of what the doctor might say. Cutting out gluten isn’t nearly as tough as people think these days, though there is definitely a stigma labelled to those of us who can’t eat gluten/wheat/dairy. I remember a time, a dark time where there were hardly any products on the supermarket shelves, and if you did want anything decent you had to order it on prescription (this was back in 2008). I am glad to say that those days do not exist anymore, the world has realised the extent of the gluten free community and they wish to help us to feel like we can fit in again. 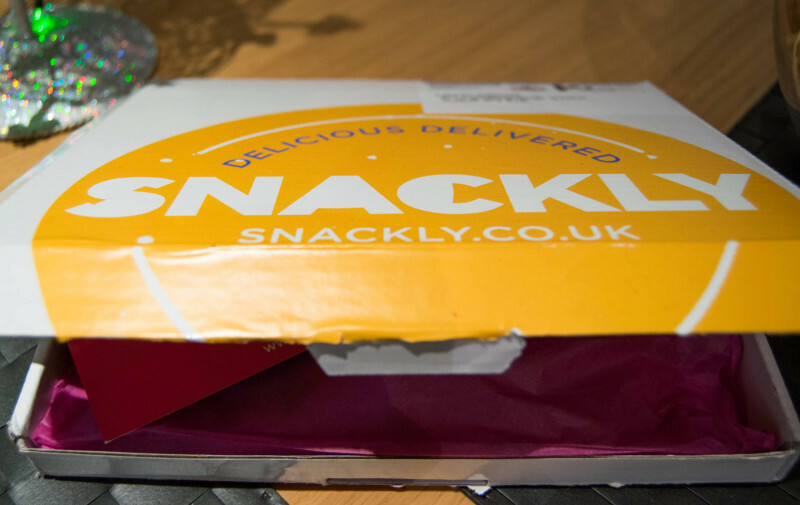 This is exactly what snackly is all about, they aim to bring the gluten free a diverse range of carefully selected products so that we can always try something new, something good. Even though it seems that people are being more picky nowadays because of the phenomenal amount of options around, I believe that it is the increased awareness that is causing so many of us to get diagnosed or cut out certain foods from our diet because of issues which is a great thing. I am constantly being sought out by friends and even strangers for advice on their diets, and I hold my hands up and say I am no dietician, but I like to think that I have a good knowledge of how my coeliacs affects me so I can share what I have learnt with others along the way to help guide them to feeling better. 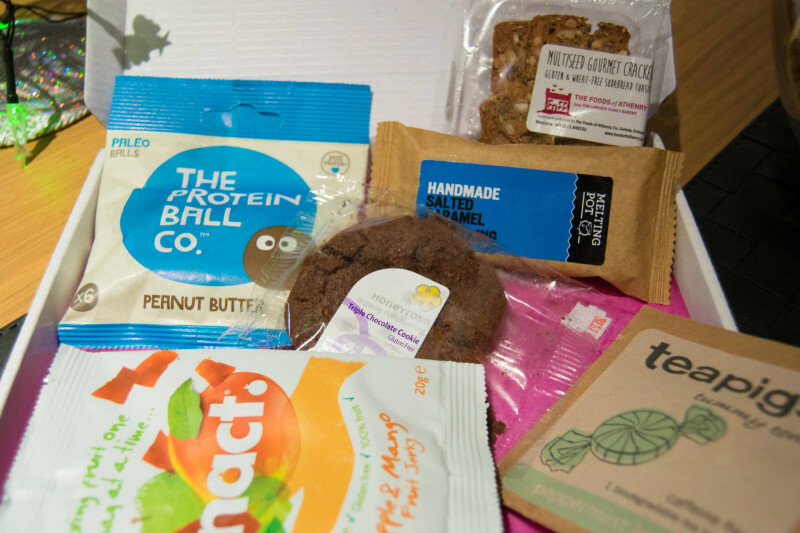 I embrace food, I love it, and I want to share with you my positive message of why I love being gluten free by telling you all about what snackly sent me in the post last week. These crunchy crackers were made from a toasted seedy sourdough and very tasty! They would go perfectly with pate or crumbled up in a hot soup. I really liked the tasty strips of apple and mango puree. They only used fruit to make the jerky, nothing else at all so really clean and healthy. I would have liked to have had a few more strips in the bag- there were 8 strips but bite size. 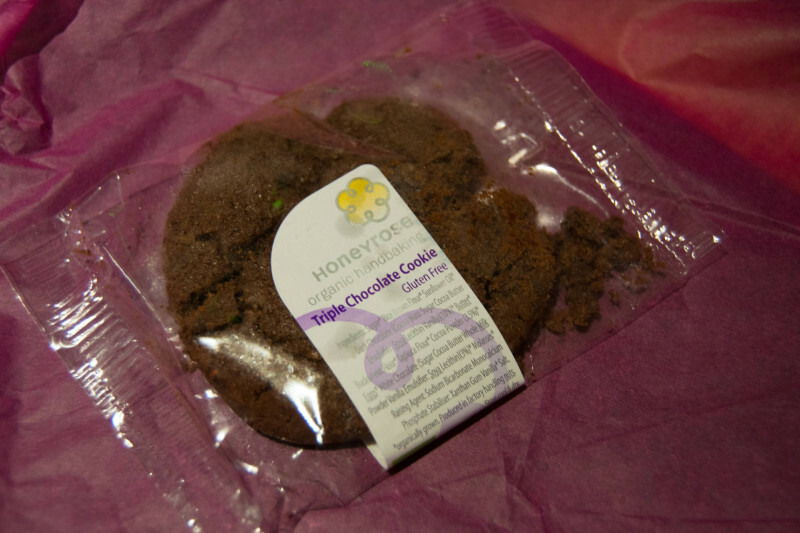 This cookie was really intense, a little bit too sugary for my liking but tasted great! Who doesn’t like chocolate cookies?! 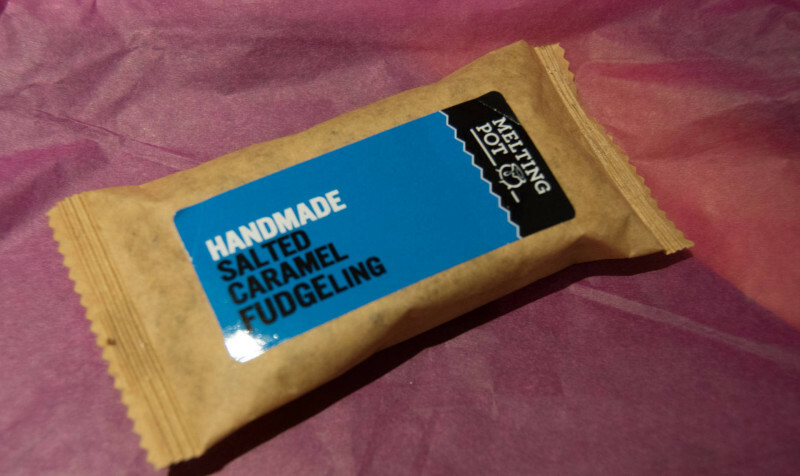 I adored the salted caramel fudge. It melted in my mouth and I could eat this every day. It was the perfect size for an afternoon pick me up at work. 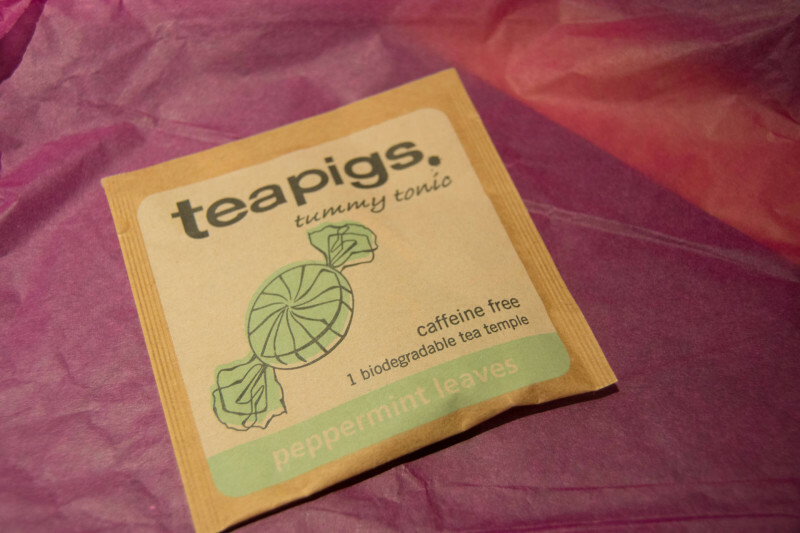 I’m a big advocate of tea, and teapigs are one of my favourites after trying them at hummingbirds cafe (where you must try the gluten free red velvet cupcakes). The peppermint tea went so well with my fudge! 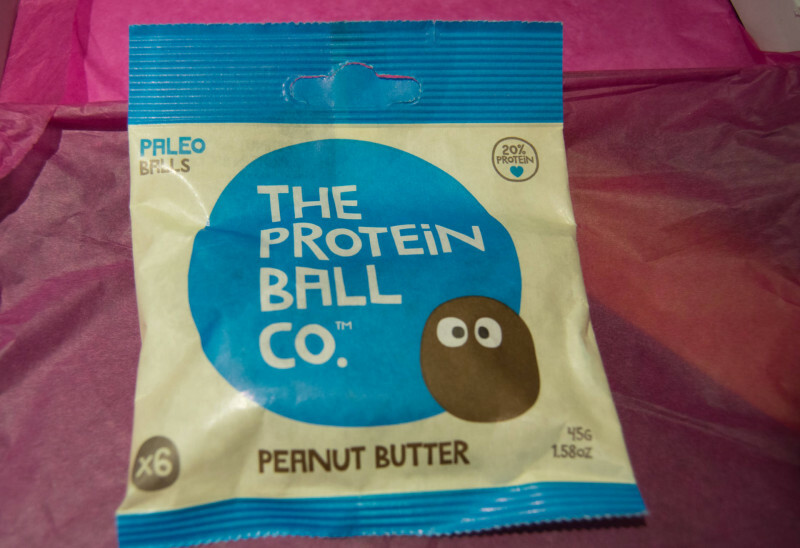 Peanut Butter Protein balls, The Protein Ball co. These are a great item to have handy in your bag if you find yourself caught short in a cafe that only sells sarnies and cakes! I loved the little bite size balls and you have 6 of them in a pack! I would like to add that having an intolerance or auto-immune disease can really open a lot of doors. It is like being a part of a community, and through this community I have met many people that I wouldn’t have met otherwise. 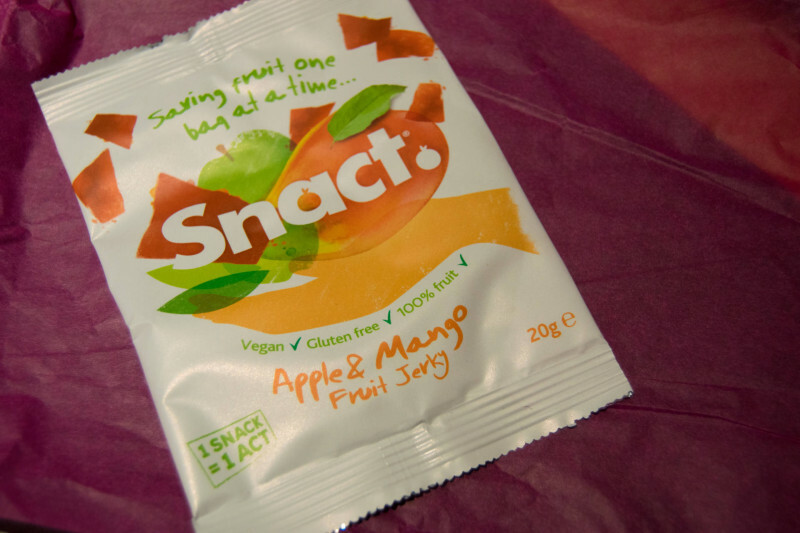 I am also grateful to companies like snackly who want to work with gluten free bloggers like myself so that we can promote the amazing brands and help other gluten free foodies discover new and exciting things to eat. So my parting message to the world is, don’t be sorry for us, be interested. Your interest will make us happy that we can talk openly about our diets without feeling like we are different just because of our DNA. And that is simply why I love being gluten free featuring snackly. 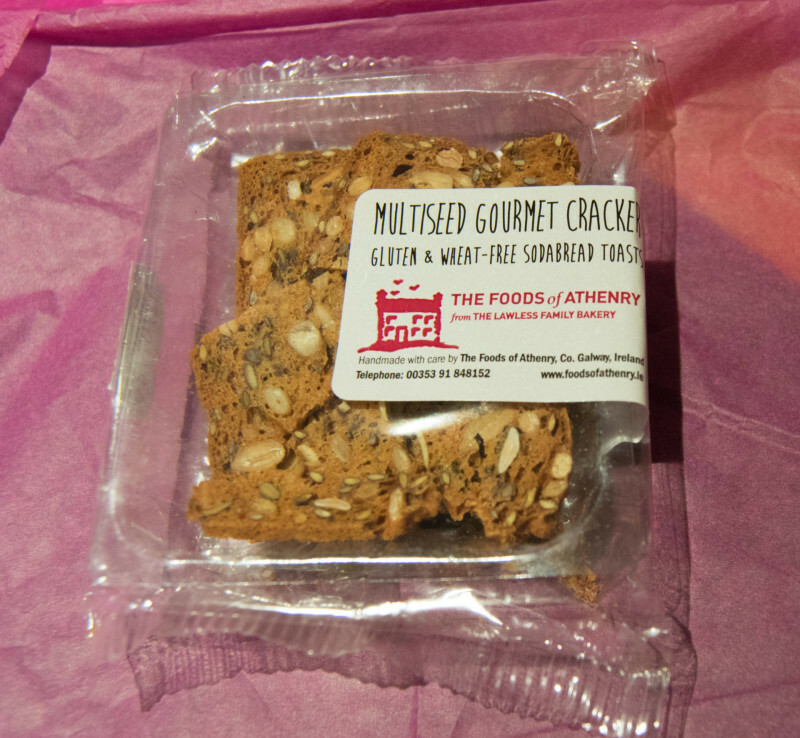 Hands up and virtual high fives to all my gluten free readers and to the awesome snackly! 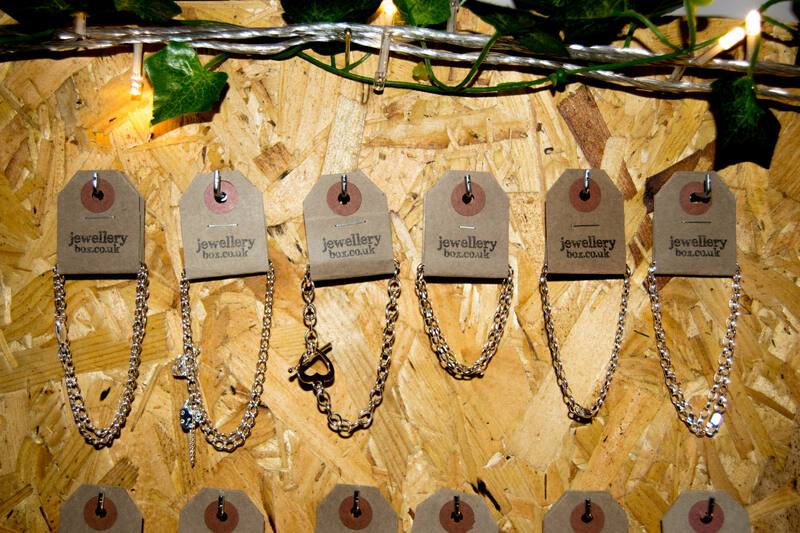 If you liked this post, check out what I got up to on Brick Lane recently! I always love following bloggers on Twitter. In my opinion Facebook is becoming more obsolete, and even though Instagram seems to be king this year for sheer number of users, Twitter remains to be my strongest social media site above all others. 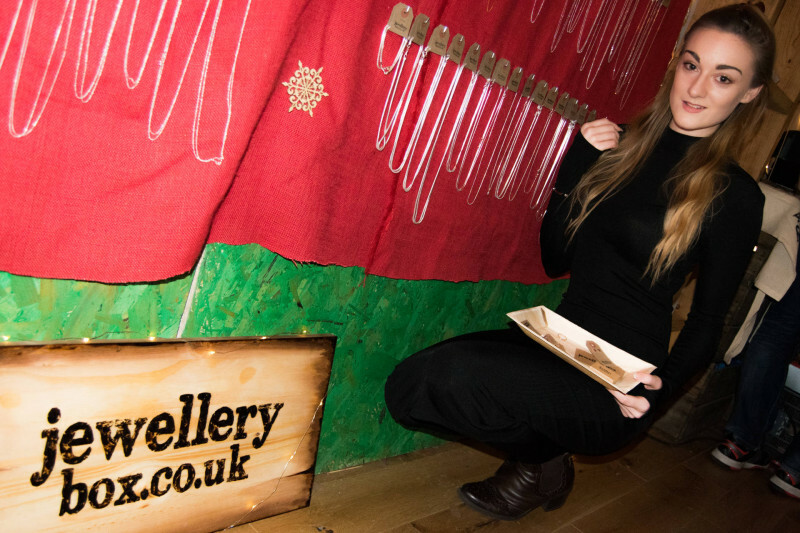 I am always searching through hashtags on Twitter such as #blogger #event #london, and this is how I found out about the Jewellery Box blogger event organised by Scarlett London. 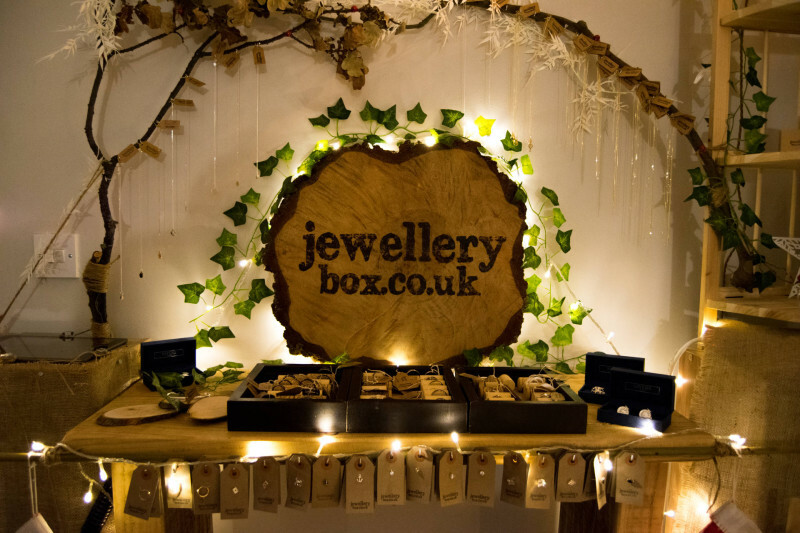 I’ve written this post with all you jewellery addicts in mind, so read on to find out what’s inside Brick Lane’s Jewellery Box this season! 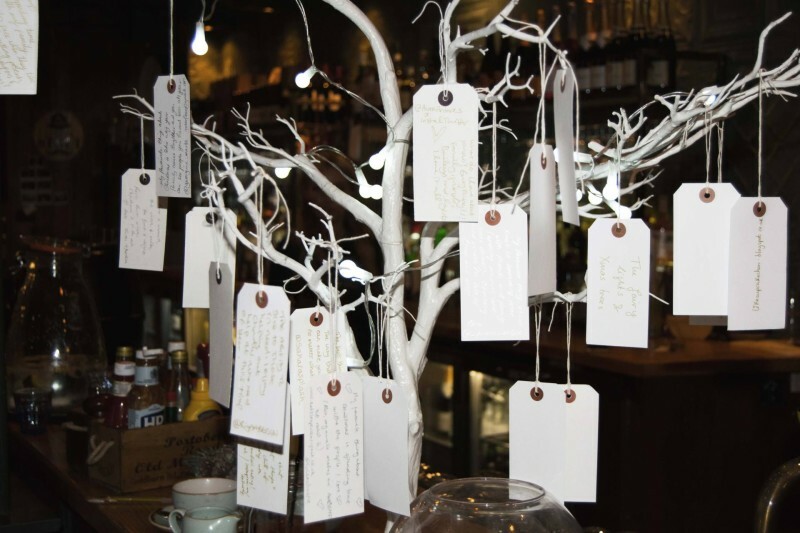 Scarlet London never fails to put on a great event, and always thinks of every last detail to make it special for the brands involved and the bloggers. I usually go to events with other London bloggers, but due to unavailibilities I decided to take my partner Paul along. Just what every man wants, to be taken to a jewellery shop! So the store is located on the trendy side of London in Brick Lane. We headed over there after work and almost missed it going past on the other side of the street. It’s just on a corner on the right hand side, and the place looks just as inviting from the outside as it does on the inside. The store has a lovely glow to it, and even though it’s a quaint little place, it is full of plenty of finds which will have you browsing for hours for yourself as well as looking at gifts for others! I got talking to a lot of other bloggers there, including Maryam and Steph who are just lovely. We will be working on some projects together in the new year so very excited about that! 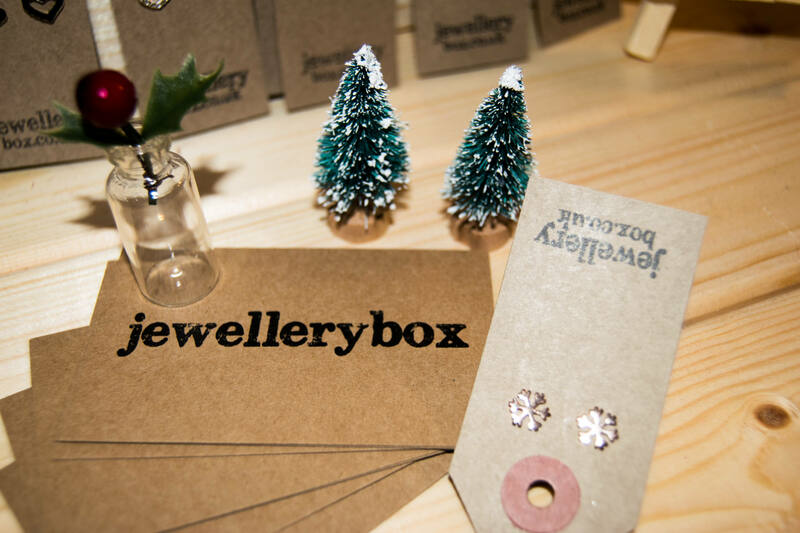 We were greeted by the wonderful staff of Jewellery Box on the night and given goody bags to take home. Each bag had a lovely charm inside and we got to hand stamp our initials onto the charm using a presser, such a sweet gift idea! 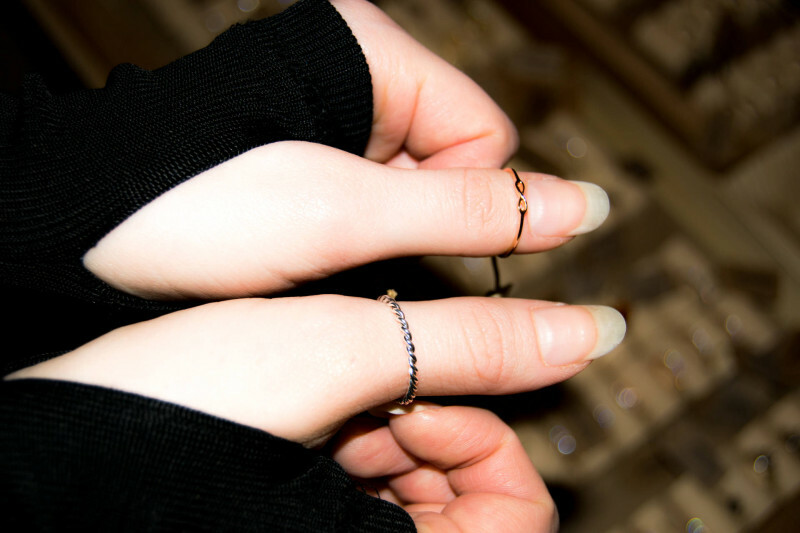 I picked up several rings which you can see below, one rose gold, the other a twisty silver and then a snake ring, plus I had to get some of the gorgeous rose gold snowflake earrings too. These were such a bargain at £3.60! 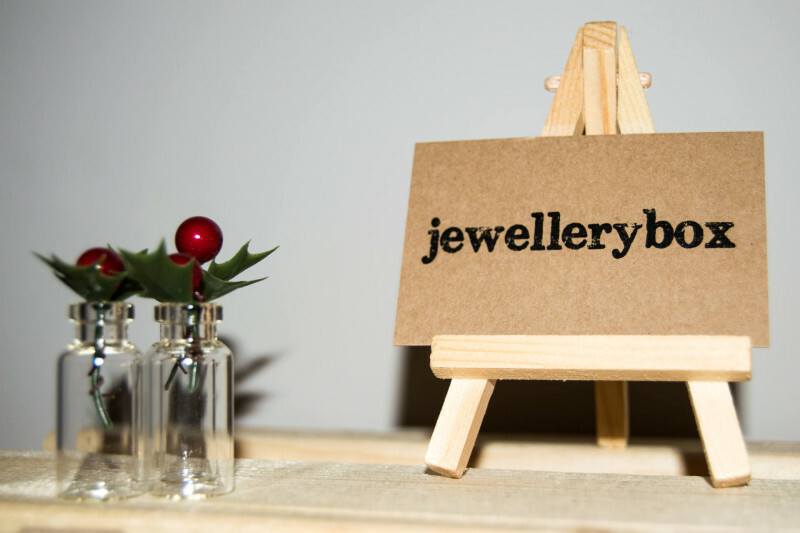 The prices at Jewellery Box are really good, yet the quality of the products does not reflect the price at all. Each of the items I’ve bought are super fine and look like they will last a lot longer than Primark! The Christmas music was playing, the drinks were flowing, and so we ended up taking around 300 photos! It was so hard narrowing down to just a few for the blog, so I hope you take a trip down there yourself to see many more things other than the photos you see on here. 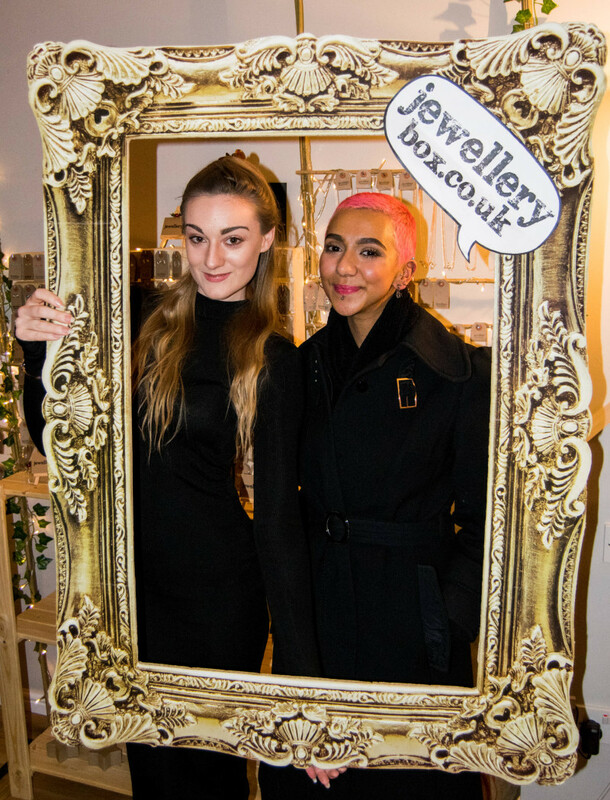 Maryam and I were featured on Jewellery Box’s Instagram page this week, how exciting! Check the snap out here. 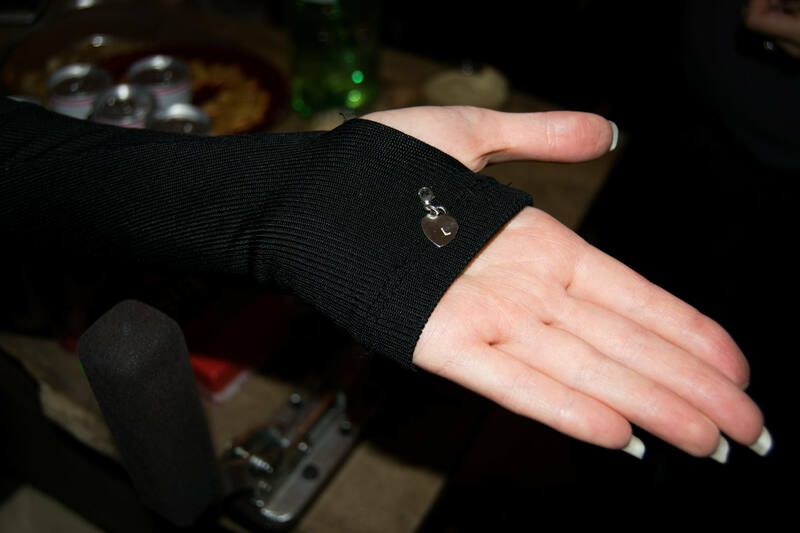 If you liked this, you are sure to love my post on Snows Curiosities personalised bracelet, take some time to check this post out too for some great shots and to find out how to order your own! 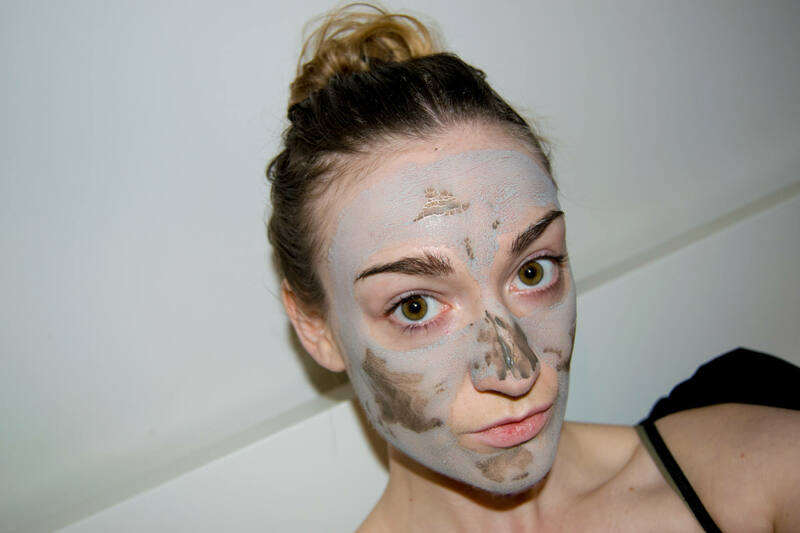 I really was excited to review the Dead Sea Mud Mask from Instanatural as I had read reviews about how it can dramatically reduce your pores. As a blogger I love trying out beauty products that I haven’t tried before to test and review, so last weekend I gave it a go. I followed the instructions and applied a thin layer to my face, avoiding my eye and mouth areas. It was cool on my skin and was a smooth application. It says to leave on for 10-15 mins, and as the minutes go by the soft mud turns to a hard texture as it dries. 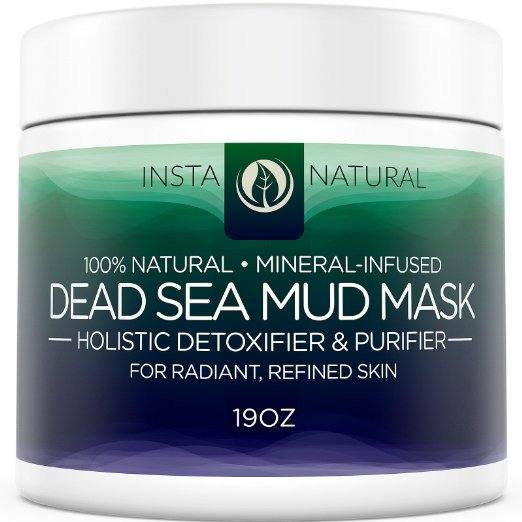 The Dead Sea Mud Mask from Instanatural definitely did leave my skin feeling tighter and very smooth, but I think that people with sensitive skin should be wary and maybe get a sample sent so you can do a patch test before using. Watch the video of the whole process from start to finish and also find out what I rate it out of 5 stars. I would recommend it to other people who have used dead sea products before who know that they are ok with the minerals the mud contains. I received this product for free for my honest and unbiased feedback. I’d love to know if any of you had tried similar mud masks or products from Instanatural. I might try and review some of their other products which don’t contain Dead Sea mud, and I hope you found this review helpful my lovely readers. If you liked this, please check out my latest jewellery review on snows curiositites bracelets!